Speaking to the public broadcaster ZDF on Tuesday, Grote said that the “the militant far left” were trying to “to organize the biggest black bloc of all time” at the G20 summit, which Hamburg is due to host on July 7 and 8. ‘Black bloc’ protests are often linked with the anarchist movement and can descend into violence, as during a riot at a G8 summit in 2007 which left over 400 police officers injured. “But the police are prepared,” said Grote, as quoted by the Local. Activists had previously challenged the city of Hamburg in court over whether they can set up portable toilets and shower facilities in the camps. 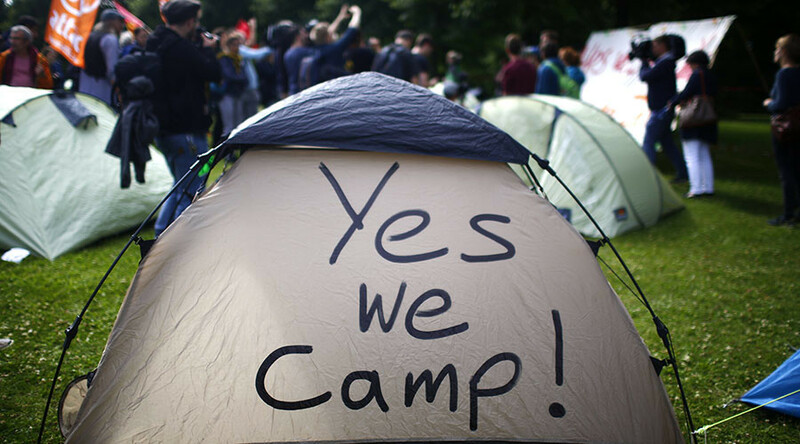 The court ruled that while setting up camps is a legitimate act of political protest, police are within their rights to forbid overnight camping on public land. So while soup kitchens and tents are allowed, there are no showers and visitors will be searched for sleeping bags before they come in. Some 20,000 police officers are being deployed for security at the G20 summit, where they are expecting a hard-core of around 8,000 left-wing radicals and anarchists who will take part in a “Welcome to Hell” march on Thursday. “Then we’ll see for the first time how many people the [far-left] scene can mobilize,” police spokesman Timo Zill told Handelsblatt. 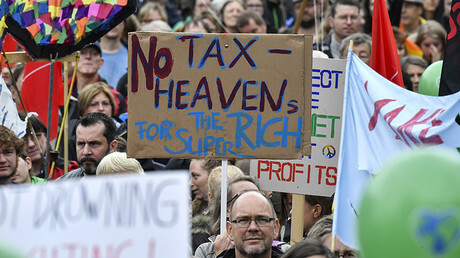 Over 30 other demonstrations are being planned before and during the event, including by groups such as Oxfam and Friends of the Earth, which held protest marches on Sunday. Another march named “G20 not welcome” on Saturday is expected to attract between 50,000 and 100,000 members of anti-fascist, feminist, Kurdish and environmentalist groups. While the majority of planned rallies are to be peaceful, at least one group, the Block G20, are aiming to try and disrupt the summit. 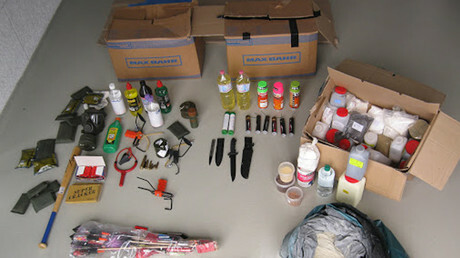 Police said that in the run-up to the summit they’d seized a number of knives, baseball bats and petrol bombs around the city, apparently being held in preparation for a riot. German Interior Minister Thomas de Maiziere said that while peaceful protests are welcome, anyone causing trouble would face the full force of the law. "No demonstrator can determine whether and when and where leaders of states and governments meet in Germany upon the chancellor's invitation," said de Maiziere, as quoted by Reuters. Physical confrontations between police and protesters already broke out on Sunday evening, as officers used pepper spray to clear out an overnight camp in Entenwerder Park. At least one protester was injured in the ruckus, and some activists and politicians have accused the Hamburg authorities of criminalizing legitimate protest. "Instead of defending civil rights, the SPD / Green party in Hamburg is tolerating illegal police action against an approved camp," tweeted Left Party MP Sahra Wagenknecht. The police also warned, however, that any violence from the security detail of visiting delegations, such as the fight between protesters and Turkish President Recep Tayyip Erdogan’s bodyguards during a recent visit to Washington DC, would also not be tolerated.